We often hear that eating healthy is expensive but in the long run it just makes more sense. Eating healthy and exercising has long been studied and linked to better health and life expectancy, fewer diseases, and overall wellness. This is not even taking into account the effects healthy lifestyle has on appearance and weight. If you think that eating healthy is expensive, here are some budget tips that will help you save some coin and see a bigger picture to eating clean. When shopping for produce make sure to buy the foods that are in season. You’ll end up buying fresher, better product, which is less expensive than imported goods that are out of season. Also buying local produce from farms or farmer’s markets will get you not only healthier product but also better prices. 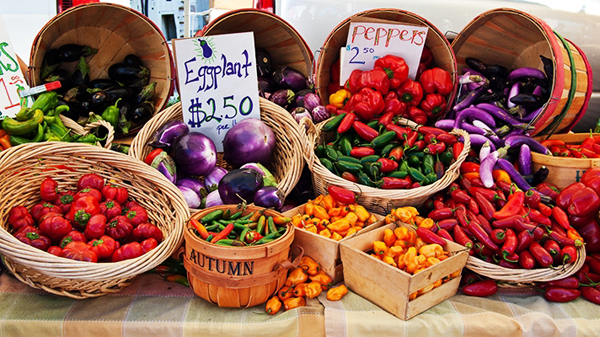 Aside from that you will support local farmers and get to enjoy their fresh produce. Buying foods in bulk will not only save you time but will also ensure you’re eating good foods throughout the week. Buy whole foods and wash and cut them yourself to save a few bucks on packaging. It is also a great way if you’re trying to live greener lifestyle. 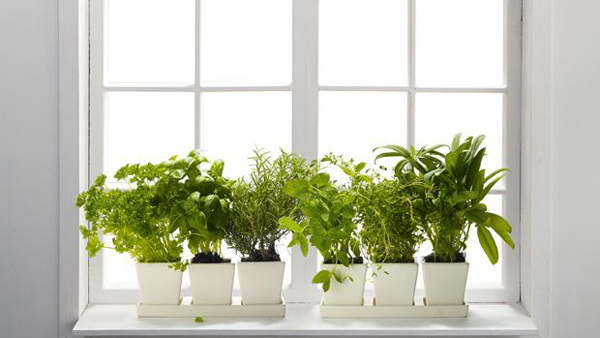 You can grow your own herbs and even small leafy greens on your windowsill, if you want to. Growing parsley, fennel, watercress, and other herbs and greens will not only jazz up your healthy diet but will also provide you with clean homegrown foods. Let us clarify, some foods should be certified organic in order to ensure your safety. Such foods are most chemically treated and should be bought either locally or from organic shops. According to Environmental Working Group who work to inform public on healthful lifestyle and consumer choice has published a 2014 Shopper’s Guide to Pesticides in Produce, an annual report in which you can find the list of products with most pesticides called ‘dirty dozen’ and a list of foods that are least chemically treated. While apples, grapes, peaches, imported nectarines, strawberries, sweet bell peppers, cherry tomatoes, celery, spinach, cucumbers, imported snap peas, and potatoes make the dirty dozen list; pineapples, mangoes, papayas, kiwis, grapefruit, cantaloupe, avocados, asparagus, sweet corn, cauliflower, cabbage, frozen sweet peas, onions, eggplant, and sweet potatoes are cleaner showing little residues and no more than 4 types of pesticides. Since it’s not always possible not buying any packaged foods reading everything there is on the pac kaging is always a good idea. Don’t buy into claims like ‘healthy’ and ‘organic’. Look up the ingredients, nutrition facts, and relevant seals and stamps. Also, check expiration dates. If a product has shelf life longer that it should then put it back and walk away. Buying produce admittedly requires commitment. You have to plan weekly menu, especially if you do weekly grocery shopping; you have to cook and it takes time. But at the end of the day, eating clean is important if you want to be healthier and fitter, and it’s not that expensive when you learn what to buy and where. Finally, research showed that healthful foods are as expensive (or cheap) as junk food by portion size and the extra calories in unhealthy foods are just that, calories without much of other nutrients like minerals and vitamins healthy foods can provide. This entry was posted in Nutrition and tagged clean eating, healthy foods. Bookmark the permalink.